The latest iOS 6 rumors include a "do not disturb" switch for Notification Center, which is mocked up below. Another rumored addition is iCloud Tabs, which will sync your open Safari browser tabs across your Mac and other iOS devices. After tapping the iCloud Tabs button tucked away in the Bookmarks menu, you'll get a list of the most recently opened tabs, and from there you can pick and chose which ones to launch. Finally, iOS 6 should be including Mail VIPs, which will also sync across Apple products, and highlight incoming mail from designated contacts. All of this according to 9to5Mac's Mark Gurman. All of these features have footing in OS X Mountain Lion, which is a nice change of pace, considering it's mostly been OS X that has been borrowing iOS features so far (part of Apple's Back to the Mac initiative). iMore's been asking for a little "back to the iPad" quid pro quo for a while now, so if these rumors pan out, hopefully it's just the beginning. If os, before long, it's going to be tough to tell the difference between desktop and mobile operating systems, which is a fine goal for Apple to be aiming for. We're expecting to get a good look at iOS 6 next week at WWDC 2012, but Facebook integration and a new maps experience have previously been rumored. We've already seen a fair bit of what to expect on the hardware side of the iPhone 5, and combined with this handful of new iOS features, we're getting a fairly clear picture of what the fall will be like for Apple fans. That is, of course, assuming all of these rumors pan out. 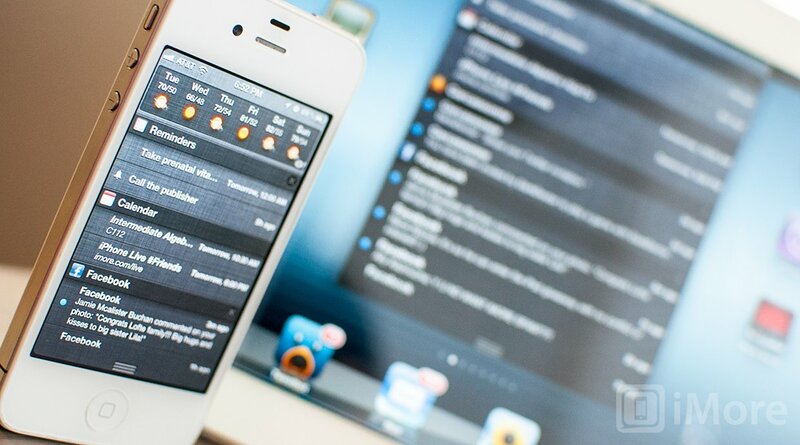 We've got our own wishlist of iOS 6 features, but what would you like to see? Which of these new ones have you been looking for the most?